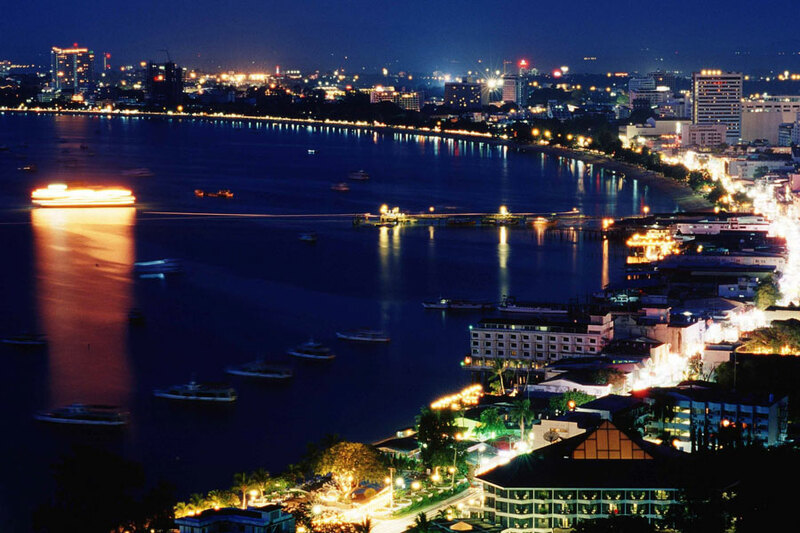 Pattaya is a well-known beach resort on the Eastern Gulf coast of Thailand and it attracts people from all over the world. Located just 150 kilometres Southeast of Bangkok, Pattaya is a favourite weekend getaway of the locals, especially those who enjoy playing golf. There are over 20 different golf courses to choose from in and around Pattaya and they each offer a different challenge, which is one of the reasons why golfers love to come and stay in this region of Thailand. Many people planning a visit to play golf in Pattaya, think Thailand is warm all year round and it doesn’t make any difference what time of year you visit for a golf holiday. Yes, the weather does remain warm all year round, which is great but there are other factors which you must consider when choosing the best time to visit Pattaya on a golf holiday. Similarly, to the rest of Thailand, the Pattaya climate can be divided into three main seasons and each of these will have an impact on when you should travel there to play golf. Every person or group is different and depending on what time you have available and your budget requirements, you can make a decision based on these three seasons. One season will have different benefits to another, so the best time to visit Pattaya on a golf holiday will come down to your own personal preference and circumstances. November to February is known as the ‘cool season’ in Pattaya and this is the best time of the year to travel to the region for golf in terms of the weather. Despite being called the cool season, the temperatures are not cold at all by European and North American standards, in fact, they remain quite warm and pleasant. The average high for November to February in Pattaya is around 30 degrees centigrade and the average low is 23 degrees centigrade. So, even if you happen to hit a period of cooler weather during your golf holiday in Pattaya, the temperature will rarely drop below 20 degrees centigrade. Therefore, you can rely on the weather to remain nice and warm but never get too hot to enjoy the golf courses. A further bonus of playing golf in Pattaya between November and February is the lack of rain. This is the driest period of the year in Pattaya and you will be very unlucky if you cannot take to the golf course because of wet weather. So, you can book a golf holiday in Pattaya between November and February with the confidence of being able to play golf every day. However, you will find Pattaya to be very busy during this period because the weather is dry and pleasant. This pushes up the prices of accommodation, travel and green fees, as those who are happy to spend a little extra for almost guaranteed good weather, begin flocking to Pattaya. Therefore, if you would like to book the best time to visit Pattaya on a golf holiday, you must be prepared for higher prices and more people on the golf course. As the year drifts towards the middle of March, the temperature in Pattaya begins to rise. This is the start of the hot season, which tends to last until the end of May. The humidity begins to increase and the climate is not always great for a round of golf. By checking the forecast, you can get an idea of what the temperature will be and it will seem as though it only goes a couple of degrees higher than during the cool period. However, these figures do not consider the humidity and this makes things feel much hotter than the temperature suggests. The number of people visiting Pattaya and booking a round of golf will be lower during this period and the price of accommodation will also drop. So, if you are budget conscious but would still like to visit Pattaya for a golf holiday, the months of March, April and May could be a good choice for you. The number of people on the golf courses will drop but keep in mind, the weather could make playing golf difficult and you will need to take plenty of water onto the golf course with you. From June through to October, Pattaya enters what is known as the ‘wet season’. The temperature may be a little cooler than the hot season but it’s the amount of rainfall which makes the difference. September and October are usually the wettest months in Pattaya, so you could book a golf holiday in July or August and miss the worst of the wet weather. Due to the number of wet days during this time, the prices fall in Pattaya, for both accommodation and golf courses. The number of people visiting the region to play golf also falls, meaning you will have more of the golf course to yourself than during the dry months between November and February. If you plan to book a Pattaya golf holiday between July and October, you must be prepared that some days could be a wash out. This means the golf courses could be closed while they dry out but it should not last very long and the number of days you would miss playing golf will be minimal. Always carry breathable waterproof clothing and an umbrella with you when playing golf in Pattaya during the wet season as there is a good chance you will see a heavy shower during your round. So, the best time to visit Pattaya on a golf holiday must be between November and February. This is when the weather is at its most reliable in terms of both temperature and rainfall. However, crowds increase, as do the prices, which may not be ideal for everyone. With that in mind, the best time to visit Pattaya for a golf holiday maybe during one of the other periods, it all depends on your personal preference. If you are planning on booking a Pattaya golf holiday between March and October just be aware the weather cannot be relied upon like it can during the cool season. 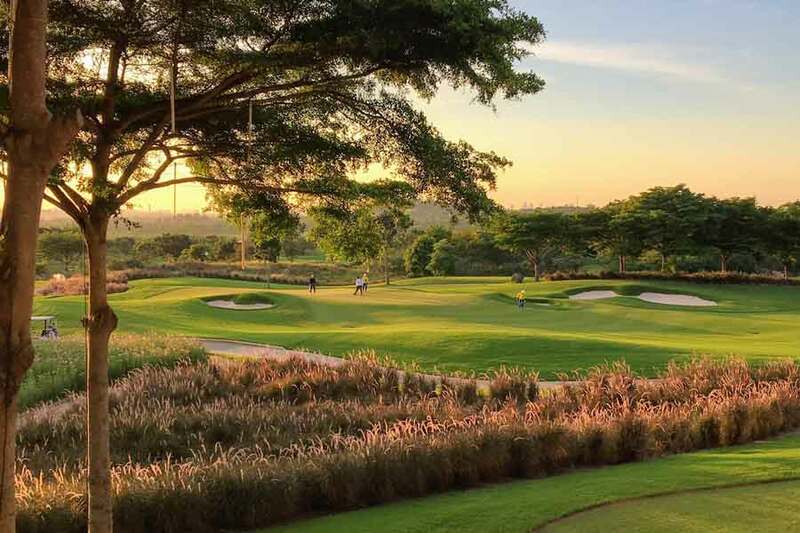 If you would like to follow in the footsteps of the professionals, you should head to Burapha Golf Club, which is located just 30 minutes away from Pattaya. This was once a members only golf course and has hosted the Thailand Open. There are 36 holes to enjoy, mainly across hilly terrain and they have been split into the East course and West Course. The East Course is the easiest of the two, featuring wide fairways and a parkland style set-up, with the West Course offering more of a challenge with its links-style holes. However, the holes are also split into four sets of nine, meaning you can select any two and enjoy a good round. If you would like to play the routing chosen for many of the professional tournaments, you should go for course B (British) and D (Dunes). The Dunes course is the one which offers the most spectacular views across the surrounding countryside and if you wish to see this course and the region at its best, you should come and play between November and February. Although you will have a buggy, the hot and humid weather of March to May can make Burapha Golf Club hard work and the risk of wet weather between June and October means you could miss out on the special views. As far as Burapha Golf Club is concerned, the cool season is the best time to visit Pattaya for a golf holiday. When visiting Pattaya for a golf holiday, you cannot miss playing a round of golf on the Plantation Course, at Siam Country Club. Located only 12 kilometres north of Pattaya, on the road towards Bangkok, it is very easy to reach and is home to one of the top golf courses in Thailand. Having hosted both the 2009 US LGPA and the 2015 Thailand Open, this a tough golf course and will test the quality of your game to the limit but you cannot leave Pattaya having not enjoyed a round of golf on the Plantation Course. Playing across rolling terrain, you will see Pattaya Beach and Laem Chabang Port in the distance, as you are challenged by the significant changes in elevation throughout this 27-hole golf course. The Plantation Course at Siam Country Club has a bit of everything, including blind shots, long carries, elevated greens, undulating fairways and greens plus large high-lipped bunkers. Depending on which sets of nine holes you play, the course plays between 7,404 or 7,495 yards, making it one of the longest in Thailand. If you struggle when it comes to playing on long golf courses, you are going to find the plantation Course a real test. The lovely clubhouse and excellent restaurant are great places to discuss your round and enjoy some refreshment, before heading back to Pattaya. You will no doubt have some ideas on what you could have done better and how you would attack the course if you had the opportunity to play another round. Well, if you choose the best time to visit Pattaya on a golf holiday, you can almost guarantee the weather will be good so why not book another tee-time for later in the week and see if you can improve your score? You will not regret it. Considered by many to be the best layout, not only in Pattaya but the whole of Thailand, is Laem Chabang International Country Club. This Jack Nicklaus designed golf course offers three sets of nine holes, each boasting different features. The three sets of nine holes are called Mountain, Lake and Valley and the terrain of each corresponds to the name. There are plenty of hazards on this golf course to avoid, including numerous bunker and water traps. However, the natural terrain has been used cleverly to increase the number of hazards on the course, including creeks, ponds and rock formations. The greens at Laem Chabang International Country Club are mostly large and undulating, offering a good test with the putter. Perhaps the best compliment you can give this golf course is the way the individual features, both man-made and natural, are combined to give visitors three distinct sets of nine holes. Laem Chabang International Country Club also has its own accommodation, so you can stay here as part of your Pattaya golf holiday. 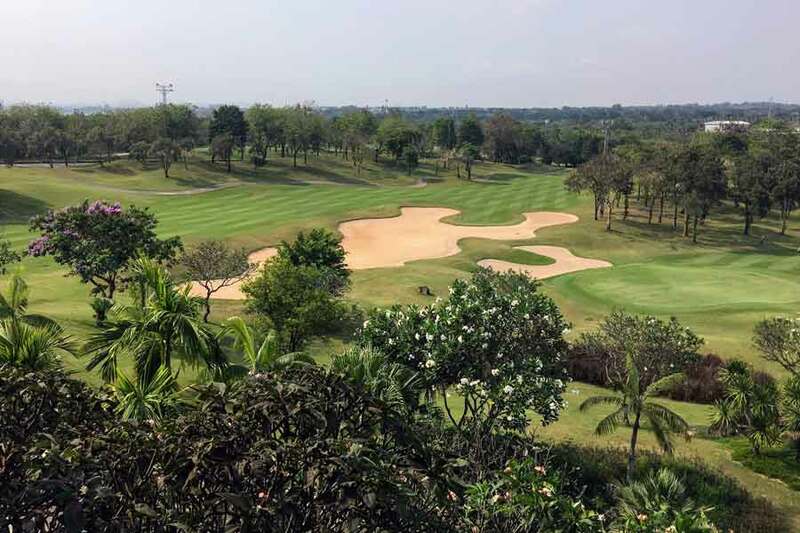 If you plan to travel to Pattaya for a golf holiday between the months of March and October, staying at a golf club like Laem Chabang International is a good choice as you will be on hand to take advantage of the good weather, as and when it comes. If the heavens decide to open or the temperature become too hot, why not use the other facilities at the country club and get back on the course as soon as the weather improves? Having played some of the top but challenging golf courses in Pattaya, the 18 holes at Pattaya Country Club and Resort will give you a great opportunity for a low score. Situated only 25 minutes from Pattaya, this golf club is very easy to reach if you have booked accommodation in the centre of town. This golf course is classed by many as being one of the easiest in the Pattaya region, mainly due to the lack of water in comparison to other Pattaya golf courses. In fact, water comes into play on only one hole at Pattaya Country Club and Resort, which is the par-4 17th hole. This hole makes up part of what the locals like to call ‘amen corner’ and if you have scored well prior to reaching the 16th, do not lose concentration as the most difficult holes on the course are yet to come. 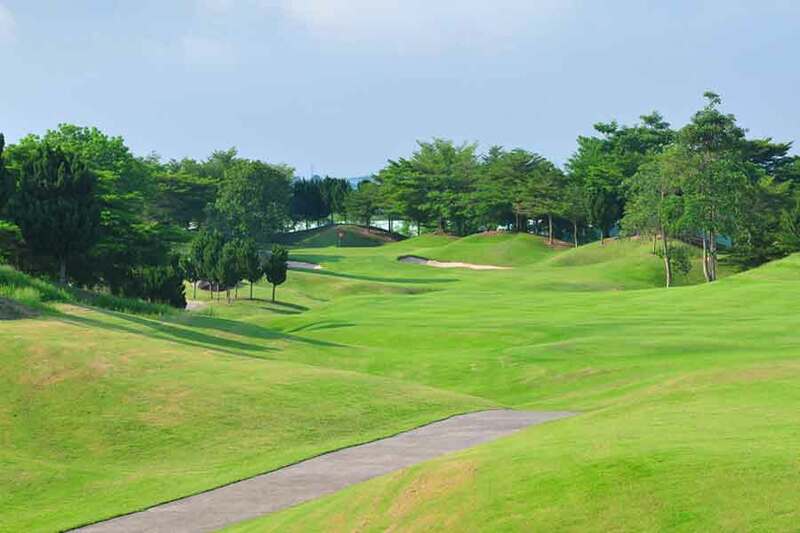 The proximity of Pattaya Country Club and Resort to the town makes it a great addition to a golf holiday in Pattaya. If you choose the best time to visit Pattaya on a golf holiday, which is generally considered to be between November and February, you can easily fit in a round of golf at Pattaya Country Club and Resort. 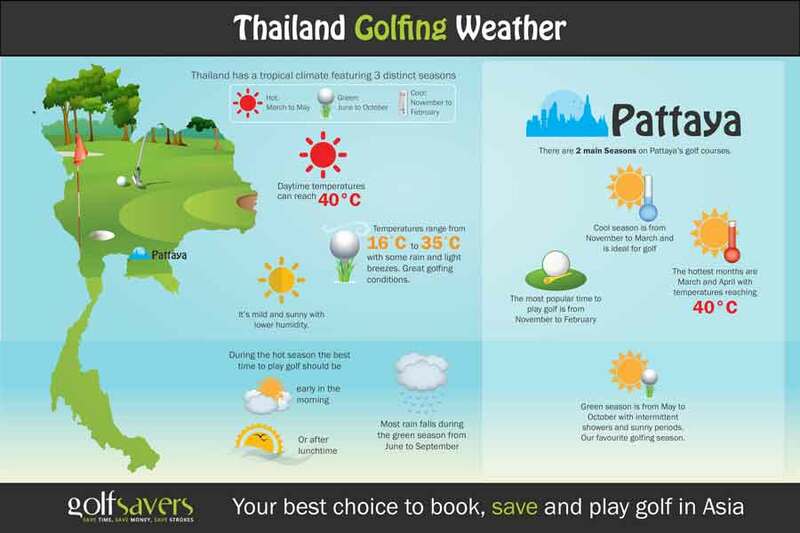 Furthermore, if you decide to visit Pattaya at any other time of year for a golf holiday, you can check the local weather forecast and book a last-minute round to suit the conditions. Having picked the best time to visit Pattaya on a golf holiday, you should also consider adding Khao Kheow Country Club, Greenwood Golf and Resort, Emerald Golf Club and Eastern Star Country Club and Resort to your itinerary. 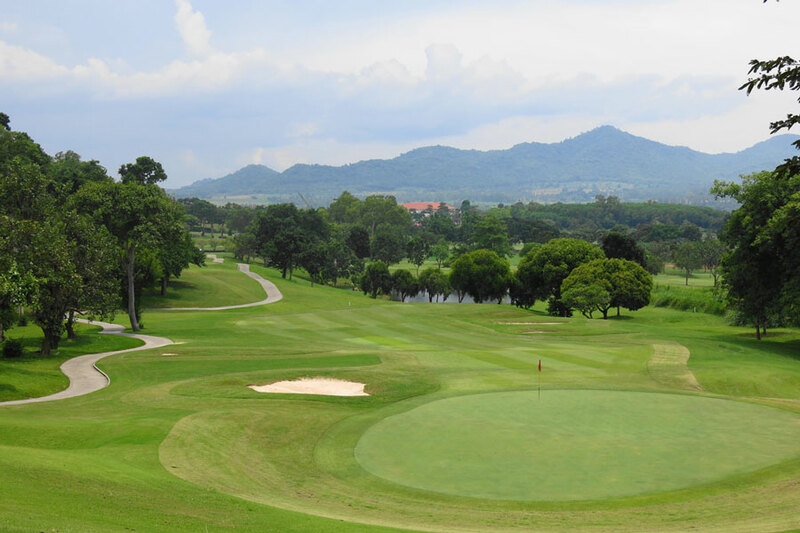 There are four excellent golf courses in the Pattaya region but some, such as Greenwood Golf and Resort are over an hour away from Pattaya town, whereas those covered in more detail above, are closer and more easily accessible. Time is also a consideration and you should not try and cram too much in to your Pattaya golf holiday. You may want to leave a day to do some sightseeing, go shopping or relax on the beach. So, plan your time carefully, to make the most from your trip. When booking, remember November to February is the best time to visit Pattaya on a golf holiday in terms of the weather. March to May can be very hot and humid and June to October sees the most rainfall, so these tend to be less crowded with people and cheaper times to visit. However, whichever time of the year you decide to visit Pattaya for a golf holiday, you are sure to have a fantastic time.